Our dining experience in daily life inspired us to do this side project. As international students who are less familiar with the foreign language, my teammate and I found difficulties understanding restaurant menus, which led to what we ordered not being what we expected. We felt this would be an interesting problem to solve, so we started this project. How might we help international travelers make food decisions when they experience language barriers with menus and waiters? 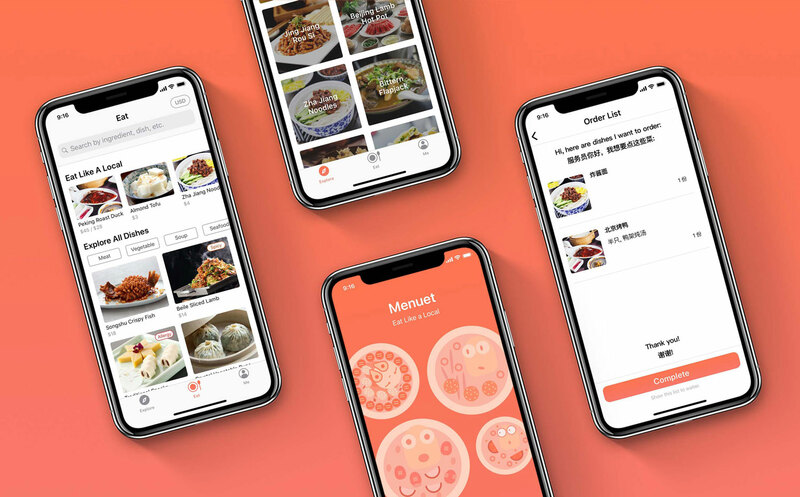 Menuet, a location-based app that helps international travelers explore local food and provides translated menus based on the individual food profile when dining at foreign restaurants. Allowing travelers to explore restaurants based on local dishes in their current locations. 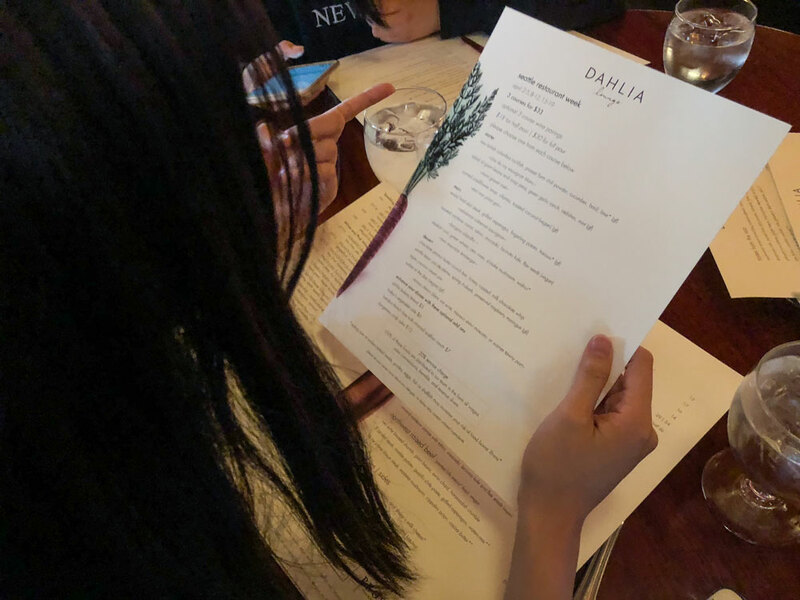 Informing travelers of food allergies and dietary restrictions on the menus and dish descriptions, based on their food profiles created during the onboarding. Showing dishes through augmented reality view on local dishes in their current locations. Showing dishes through augmented reality view to help travelers see the ingredients and know the portion size. Translating local menus into travelers' languages to help them understand the menus. 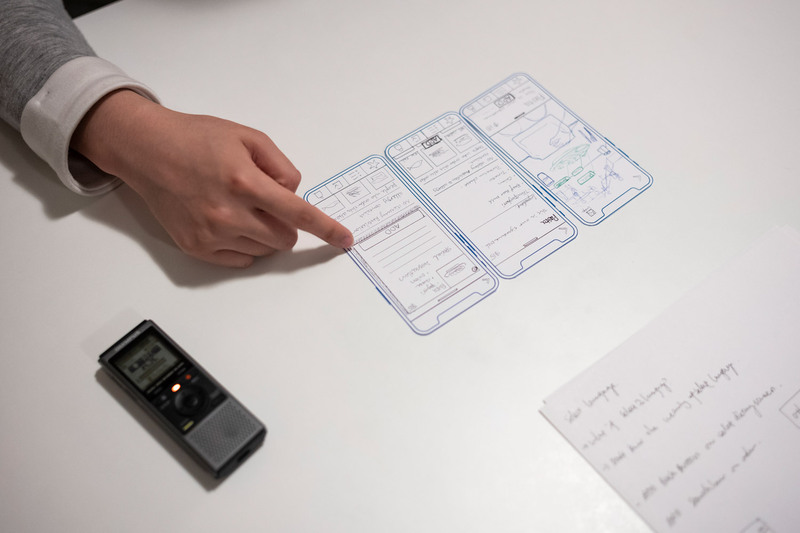 Translating travelers' order requests into local languages to help them communicate with waiters. 1. Translation tools cannot help travelers fully understand the dishes merely by text-based translations when travelers encounter unusual or even weird dish names. 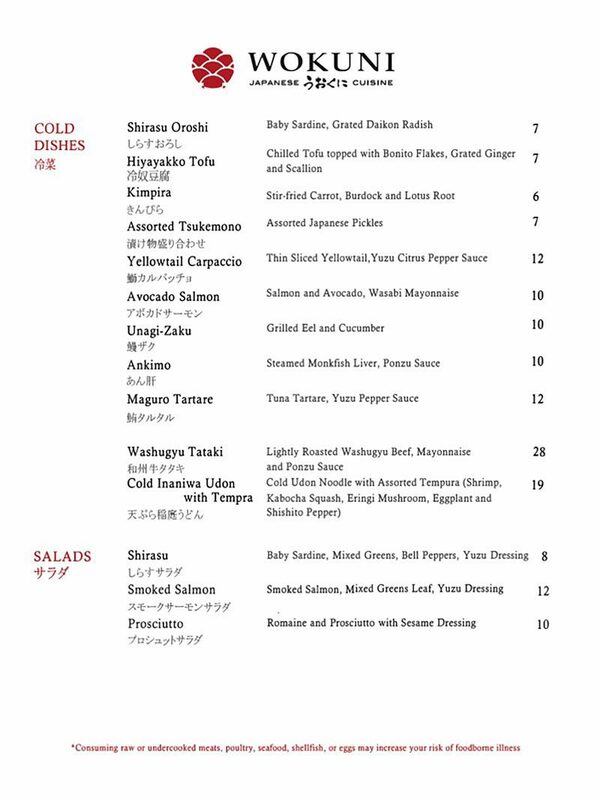 Menuet works with local restaurants to provide appropriate translations and food images from menus. 2. 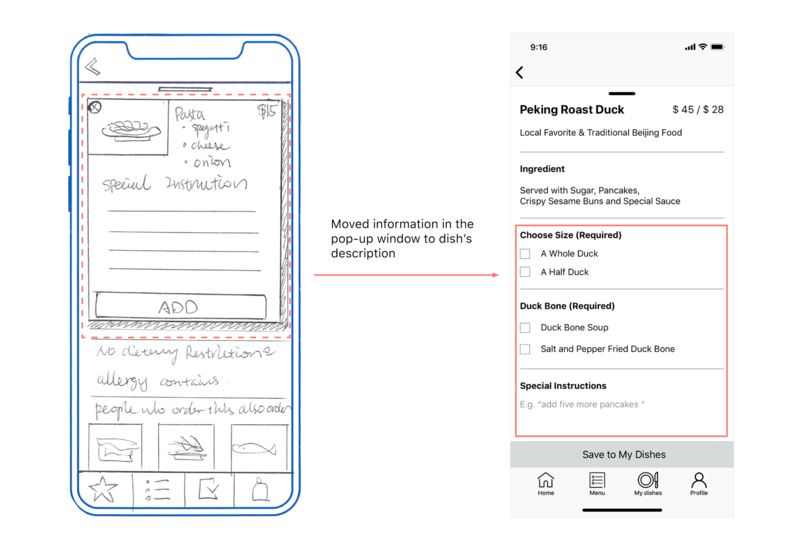 Existing apps mainly cover the food journey of discovering and planning, rather than the dining experience. Menuet focuses on improving the dining experience at the restaurant. 3. 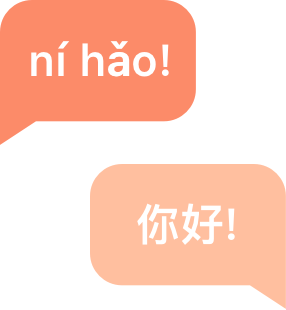 It takes efforts to switch between food apps and translation tools to make decision and communicate with waiters when it comes to language barriers. Menuet provides translated menu and order request altogether to streamline the tasks of food ordering. on local dishes in their current locations. Showing dishes through augmented reality view on local dishes in their current locations. Showing dishes through augmented reality view to help travelers see the ingredients and know the portion size. Travelers seek out local specialities and authenticity. Text-based menus don’t necessarily help travelers make a decision, especially when dining in situations without familiar languages and typical food cultures. 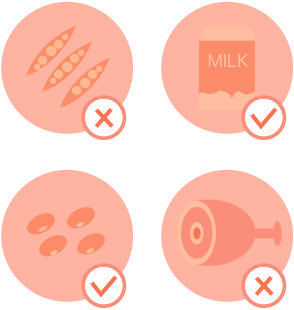 Travelers feel included when dietary restrictions, food allergies, and cultural and religious needs are being considered. 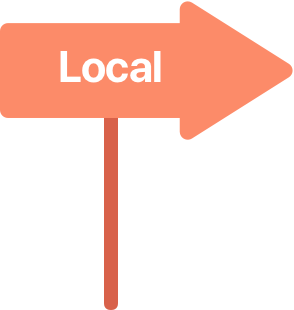 Travelers rely on local opinions and recommendations to guide their decision making. Modern technology helps travelers better experience local cultures, but it cannot completely replace the role local people play in offering authentic local knowledge and human interaction. We assumed people might experience similar issues as ours: having difficulties understanding menus and communicating with waiters when dining at foreign restaurants. With this assumption in mind, we conducted 25 semi-structured interviews with friends from different backgrounds. We found that participants experienced more difficulties when dining during international travels, which led us to narrow down the target group to international travelers. To better understand the travelers' dining experiences, we did an additional 12 semi-structured interviews and 2 contextual inquiries with people who travel internationally at least three times a year. We synthesized the factors influencing travelers' food decision-making as well as the reasons behind it. Through secondary research, we found that smartphones promote new last-minute booking behaviors, and enable travelers to be more spontaneous. One insight jumped into our focus: it’s essential to provide travelers with useful, personalized and relevant local information at first glance. Marketing research conducted by Google drew our attention - How Micro-Moments Are Reshaping the Travel Customer Journey. This research carefully analyzes four micro-moments in the travelers’ decision-making processes: dreaming, planning, booking, and experiencing. 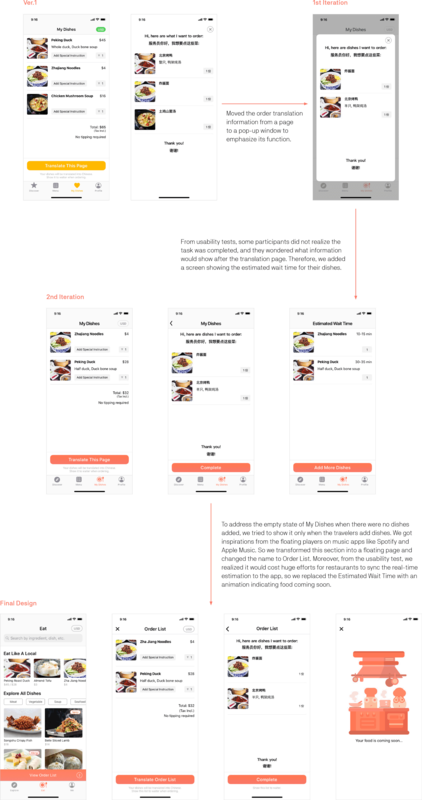 Similar to this framework, a traveler's dining experience can be broken down to these micro-moments: browsing, choosing, ordering and enjoying. 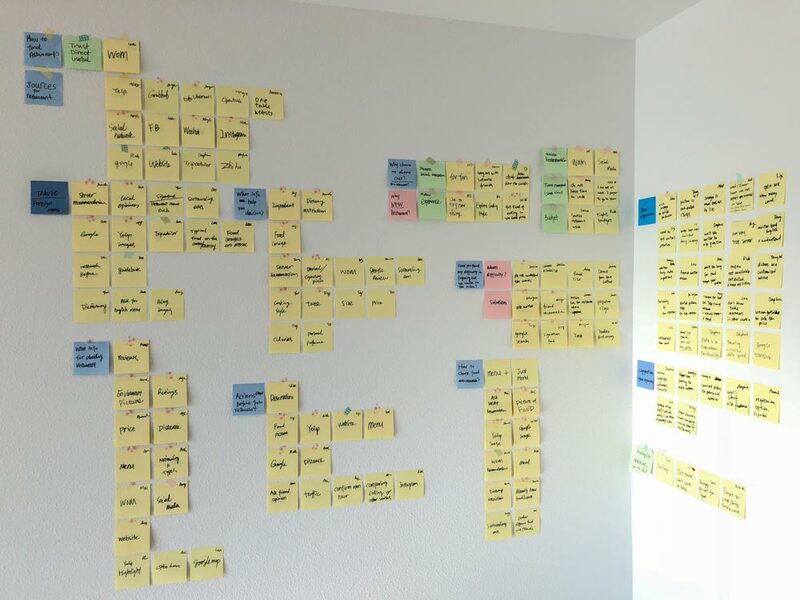 We considered those moments as the critical references to our user flow design. 1. Existing apps mainly cover the food discovering and restaurant planning stages, rather than the dining experience. 2. Translation tools don't always provide accurate translations. 3. Tourist menus provide limited language options. 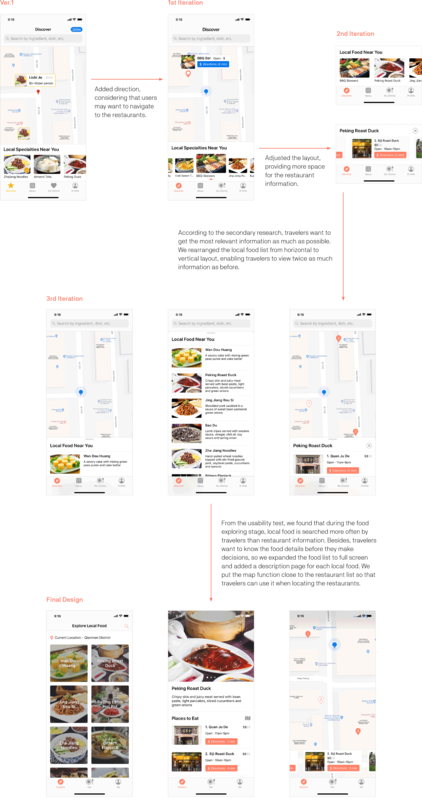 We analyzed the major food and restaurant apps, focusing on whether they have solved the pain points we found from research and how. We also looked into apps’ pros and cons, and reviews from the App Store. 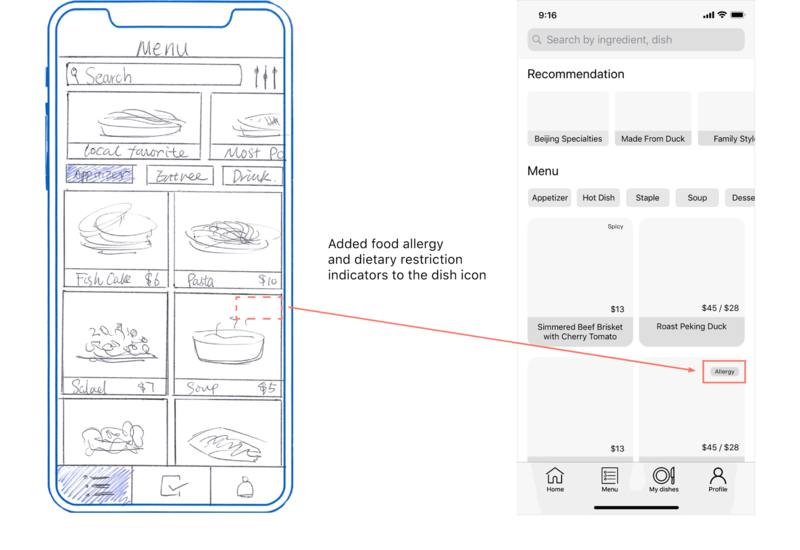 We found existing apps mainly cover the food discovering and restaurant planning stages, rather than the dining experience. While some apps offer services catered to the dining experience, they tackle different problems and target groups. 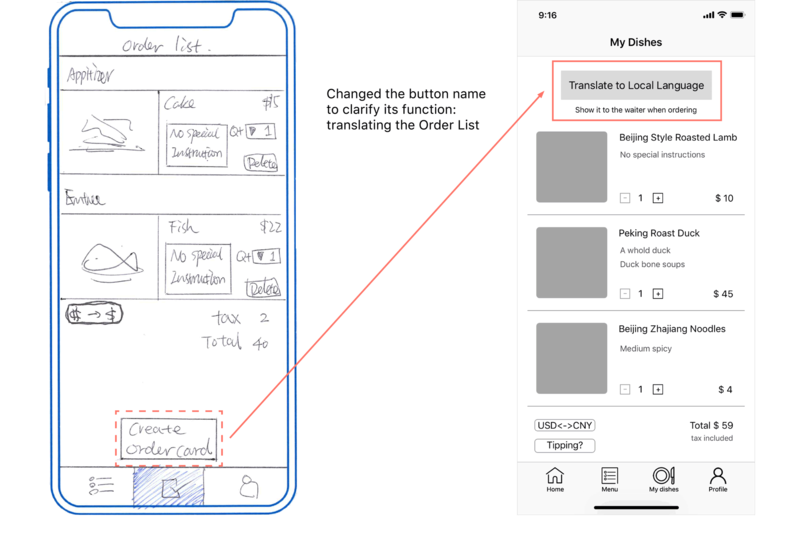 We looked into mobile translation tools and did field tests with menus written in different languages. We found their translations are not always accurate, especially on local food names. 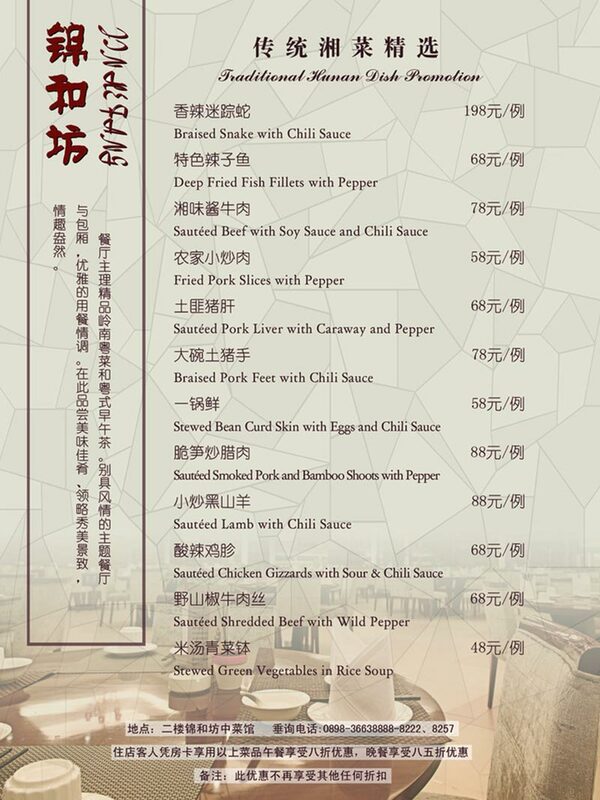 We found most of the tourist menus are either translated into English or Chinese. 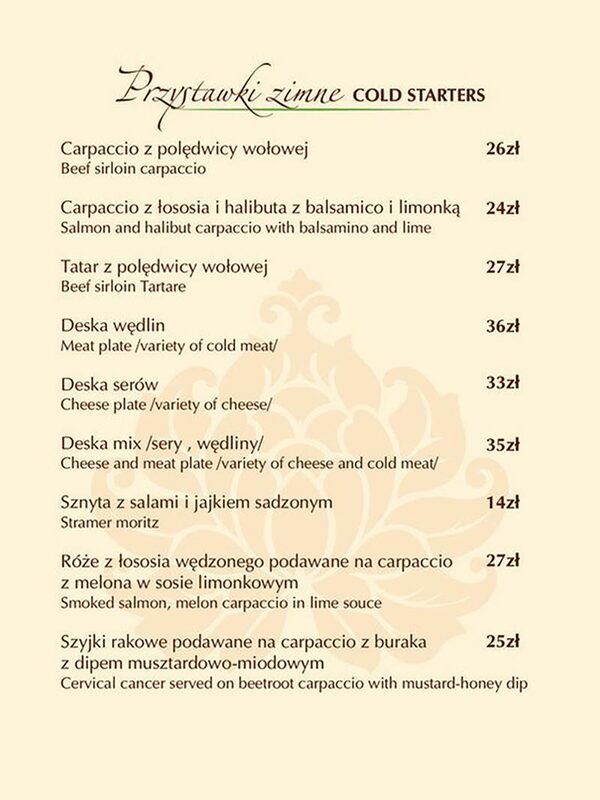 There are few restaurants that provide multi-language tourist menus, even in major tourist cities. 1. Can’t understand the menus because of the language barriers. 2. Not sure if ingredients contain allergens or dietary restrictions. 3. No idea about the portion sizes of dishes. 4. Hard to communicate with the waiter. 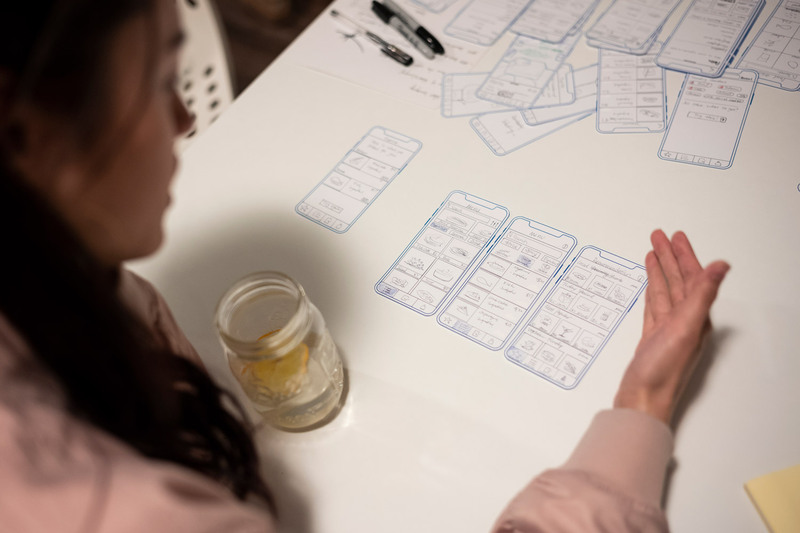 We created a storyboard to inform us of those pain points through the story of Jessica, a Seattle-based magazine editor, who explores the local food during her travel to China. We generated ideas around each pain point and need of international travelers. 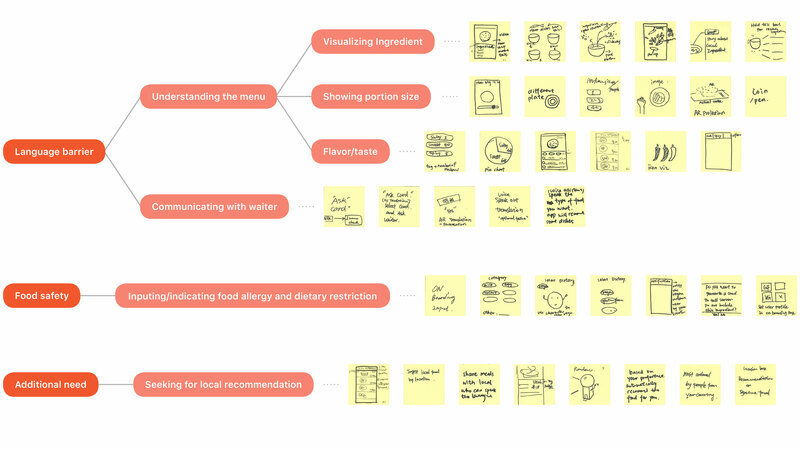 We referred back to the insights from the competitive analysis about the information architecture of the menu that could help travelers make food decisions more efficiently. 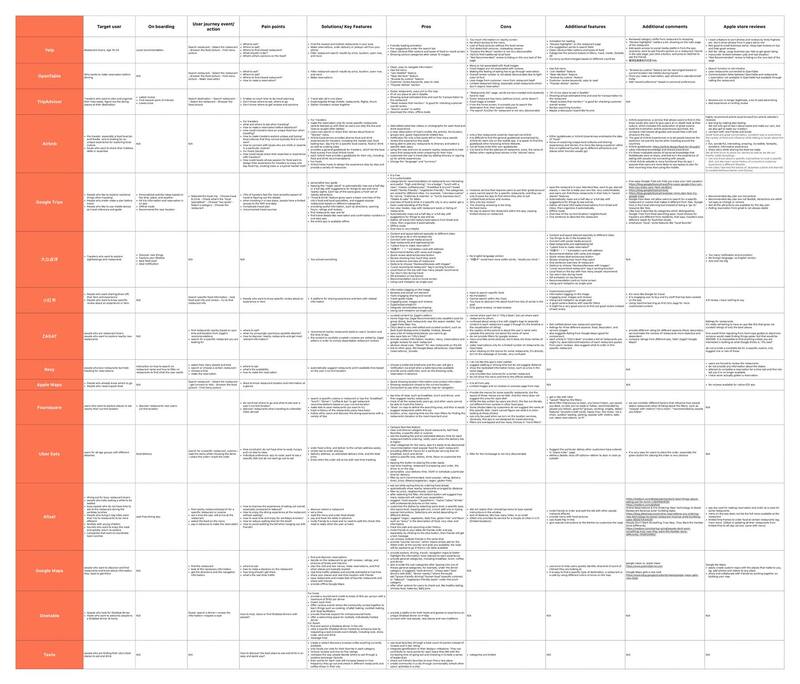 We created a set of rubrics as a reality filter to evaluate and narrow down concepts. 1. Test the feasibility of our initial concepts. 2. Test whether participants understand the main user flows. 3. Get constructive advice to build the mid-fi prototype. 1. Too much effort required for the onboarding. 2. Need to consider the empty states and off-location situations. 3. A gap between the food profile input and its indication on menus. 4. Key features were not clear because of the complicated user flows. 5. The interface function of helping communicate with waiters was mistaken to be a self check-out function. This section serves the purpose of covering travelers' journeys when they are using this app outside of restaurants. 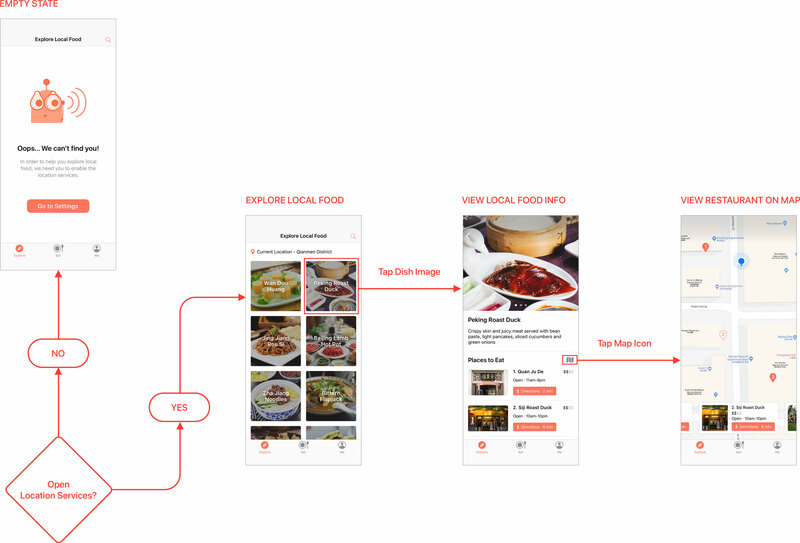 Based on research insights 1 and 4, travelers want to experience the local specialties, so we designed this section as a tool for travelers to explore the local food. From the interviews, we found that travelers' food decisions depend on the food itself rather than the restaurants. Hence, we made the section start with providing local food information instead of local restaurants. This section contains our main features. 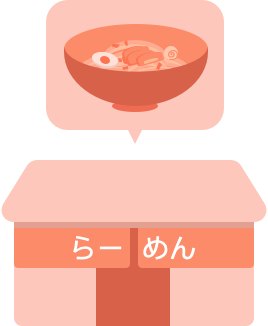 The Order List is intended to let travelers add the dishes which they want to order, and translate their choices into the local languages. 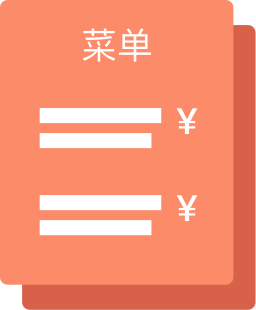 Then, travelers can show the translated order information to the waiters for ordering. We presented Menuet to restaurant owners and entrepreneurs. They were very interested and thought Menuet could help grow their business on international customers. 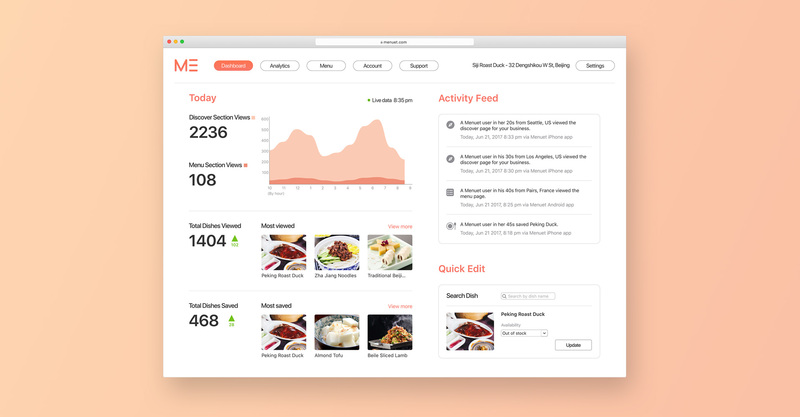 The business validation revealed the need for restaurant owners to gather business analytics and manage menu information on Menuet, which intrigued me to create a paired web app for restaurant owners. 2. Think of the big picture but stay focused on MVP features. 3. Task flows should require minimal actions from users. 4. Provide enough predictability and trust on interfaces for users. 5. Consider possible outcomes and costs from users' every action. 6. Don’t be afraid to make big changes on the final design, as long as it’s necessary! proofreaders, and my awesome teammate.